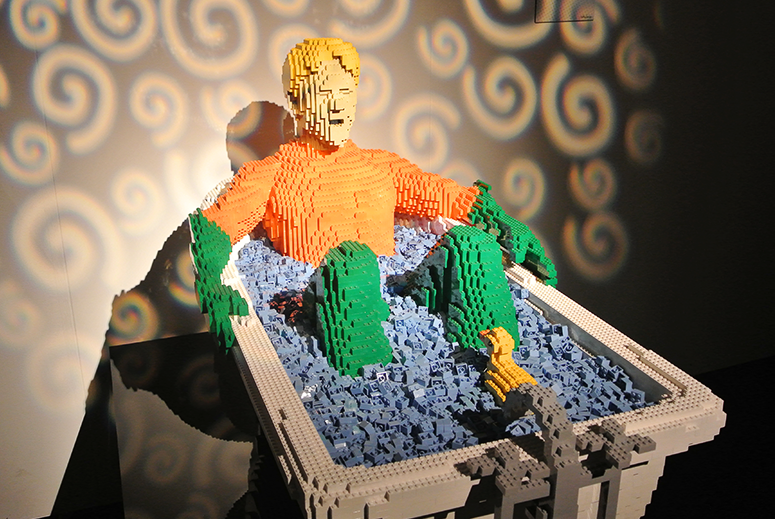 Lego was a huge part of my childhood and I'm sure I'm not the only one who still has fond memories of creating innovative structures and characters with the versatile building blocks. 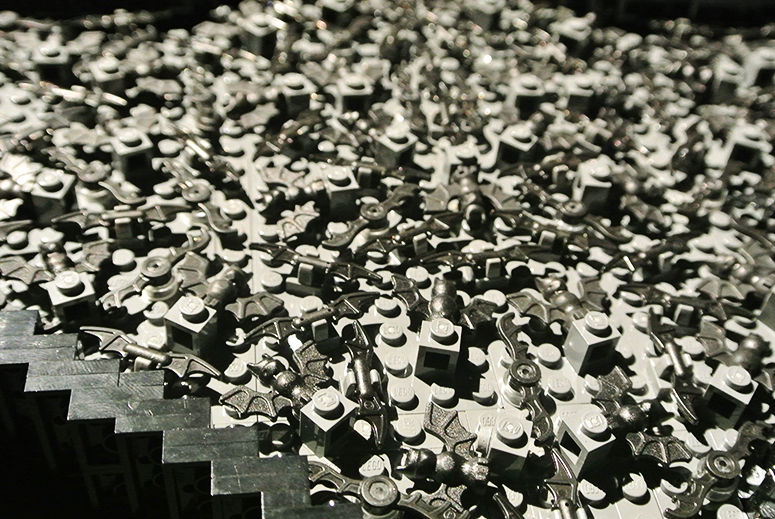 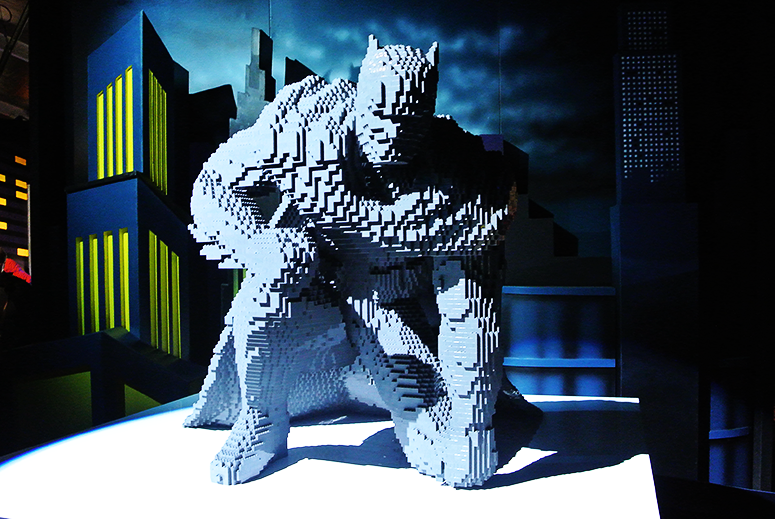 However, my creations weren't quite as impressive as those by Lego artist Nathan Sawaya. 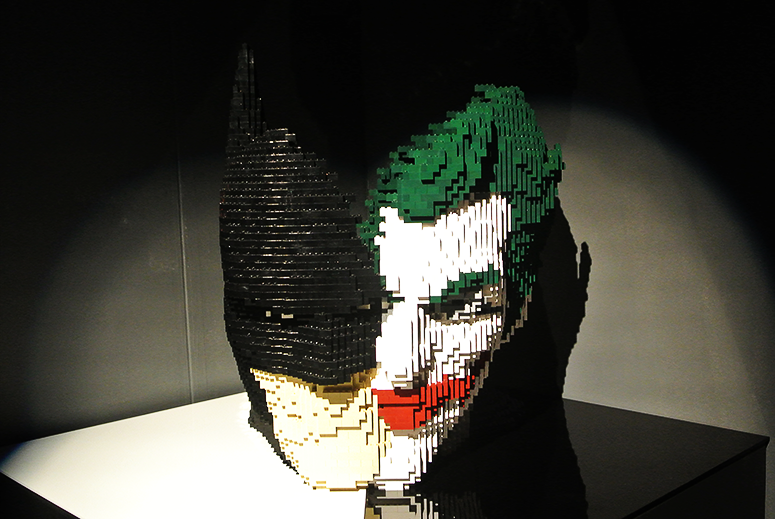 He has over five million pieces of Lego in his studio and his latest creations, around the themes of good vs. evil, are on display in London until September. 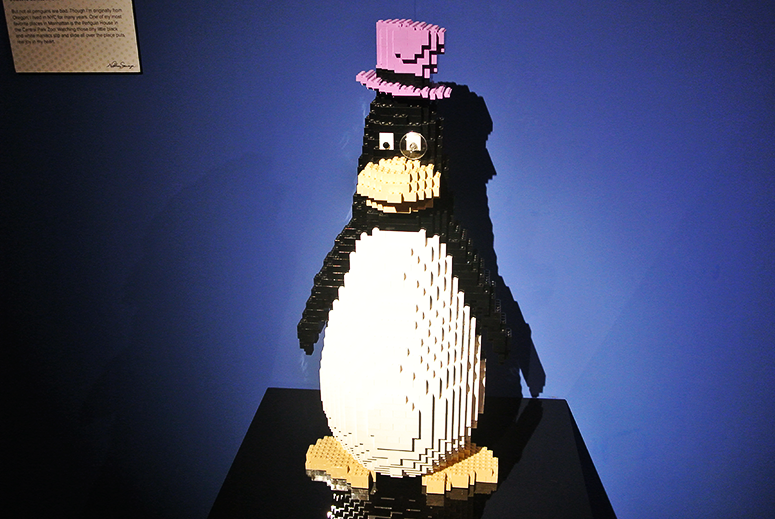 The exhibition is located in a purpose build tent on the South Bank (Upper Ground, just behind the National Theatre). 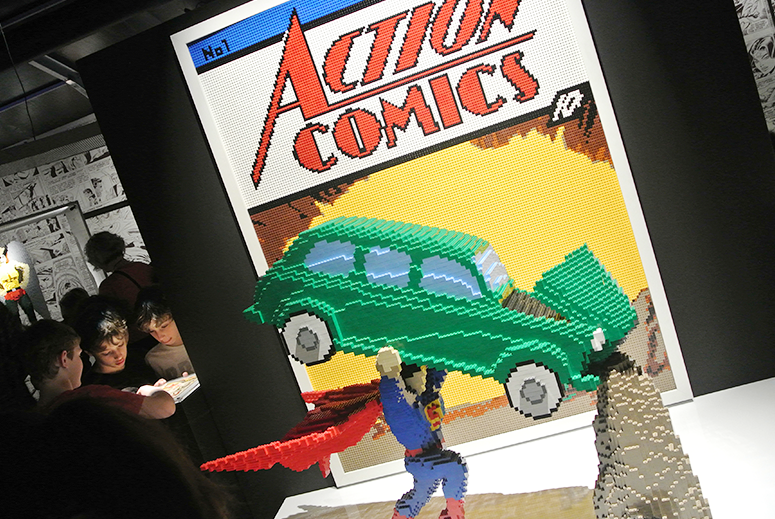 And eagle-eyed Lego fans can spot the superhero and super villain characters at the heart of the exhibit from a distance, as the tent is covered in colourful comic strips. 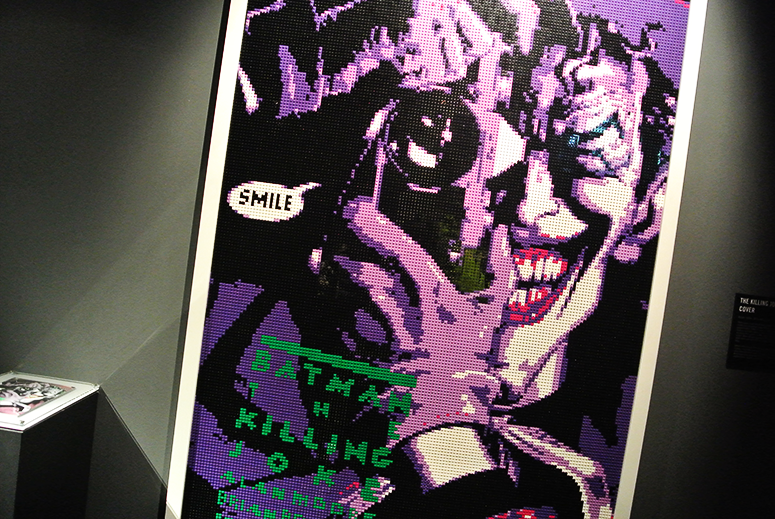 While the overarching theme is good vs evil, this exhibition is focused solely on DC characters. 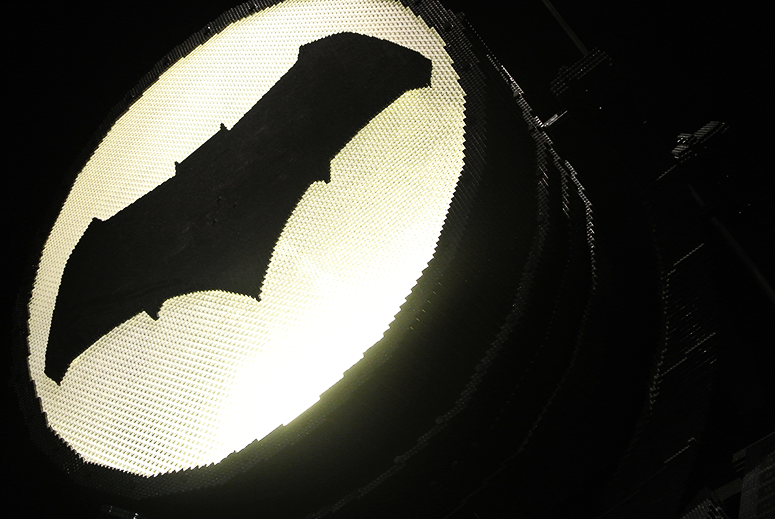 And, even more specifically, on the Justice League (a nice little tie-in to the upcoming film). 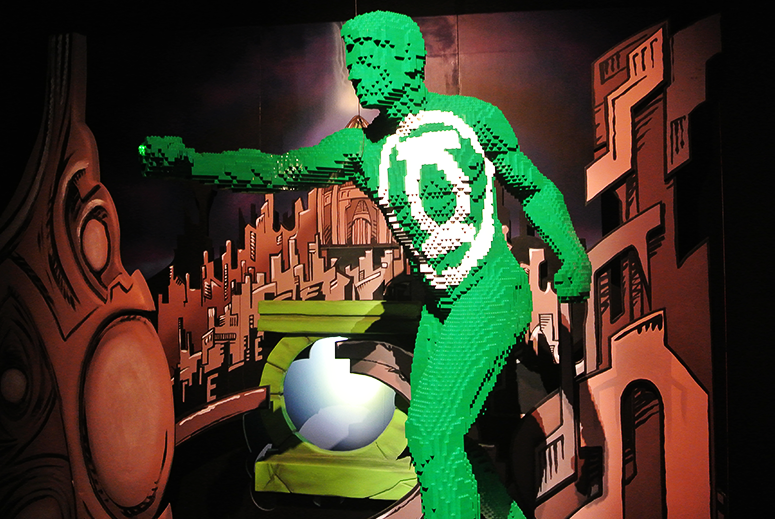 Superman, Batman, Green Lantern, The Flash, Wonder Woman, Cyborg and Aquaman are at the heart of the impressive selection of Lego constructions, with of course their arch enemies such as The Joker, The Riddler and Death Stroke thrown in as well. 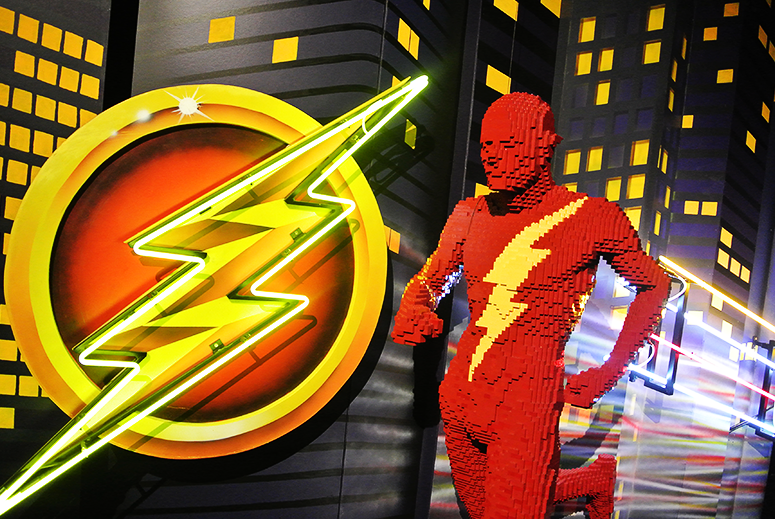 And if you're a fan of the CW shows Arrow, The Flash, Legends of Tomorrow and Supergirl you'll find some familiar faces in the Lego characters too, with Green Arrow, Black Canary, Supergirl, Firestorm and Slade Wilson all making appearances throughout the rooms of the exhibition. 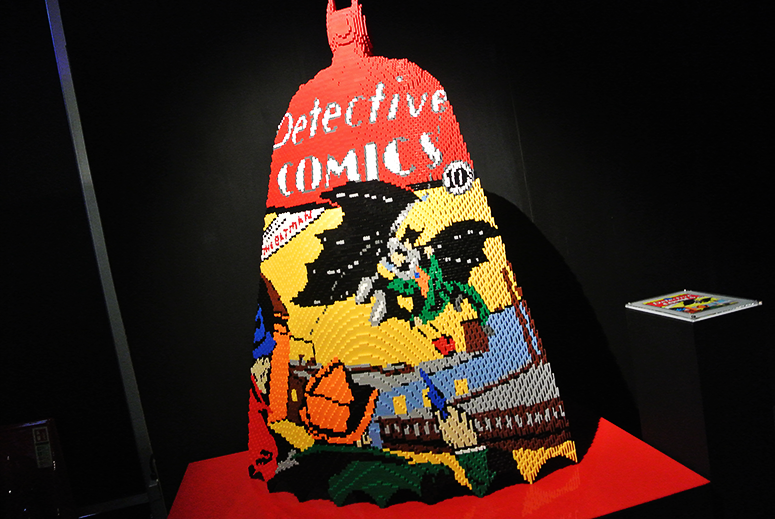 The exhibition is split up by themes such as Gotham and Cubism (a VERY fun artsy depiction of the well know super heroes). 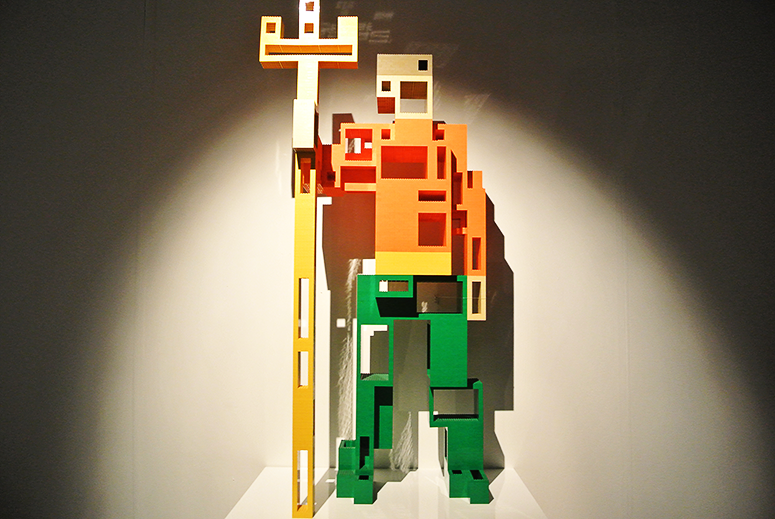 While I personally didn't know every single one of the characters featured in the thousands of Lego blocks in this exhibition, I was still hugely impressed by the care and detail that had gone into each and every one one of the characters (my images don't do the creations justice at all as the lighting was unfortunate for photography). 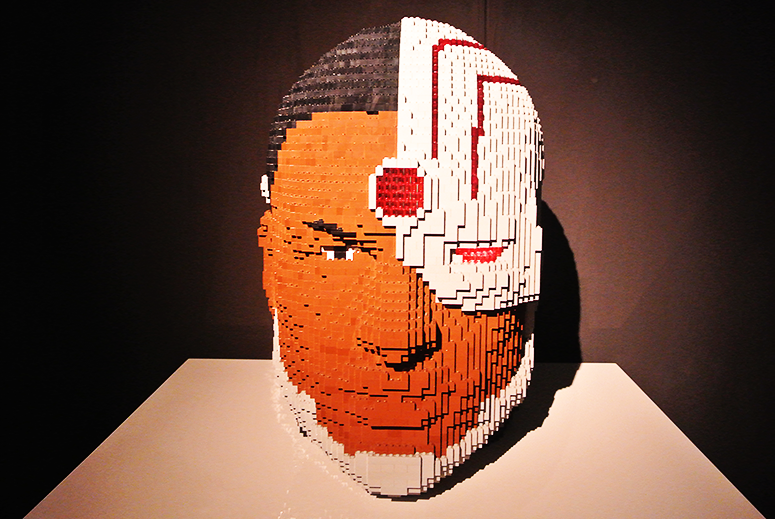 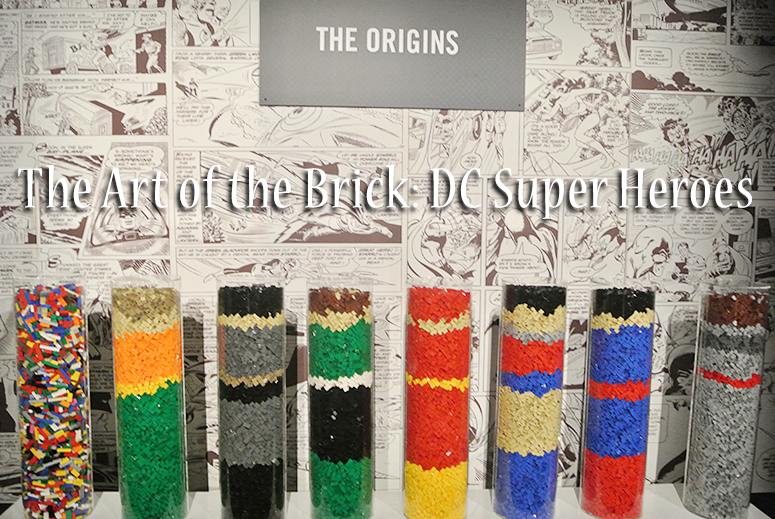 We ended up spending about 40 minutes browsing the exhibit, but if you have little superhero fans in tow, The Art of the Brick: DC Super Heroes can easily be an imaginative escape for a good hour. 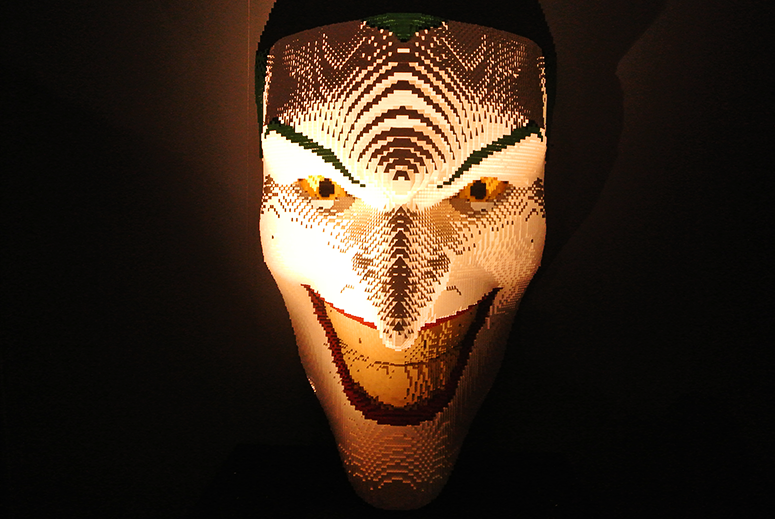 And I will guarantee that after visiting this fun exhibition you'll want to try your hand at creating some exciting Lego structures yourself again. 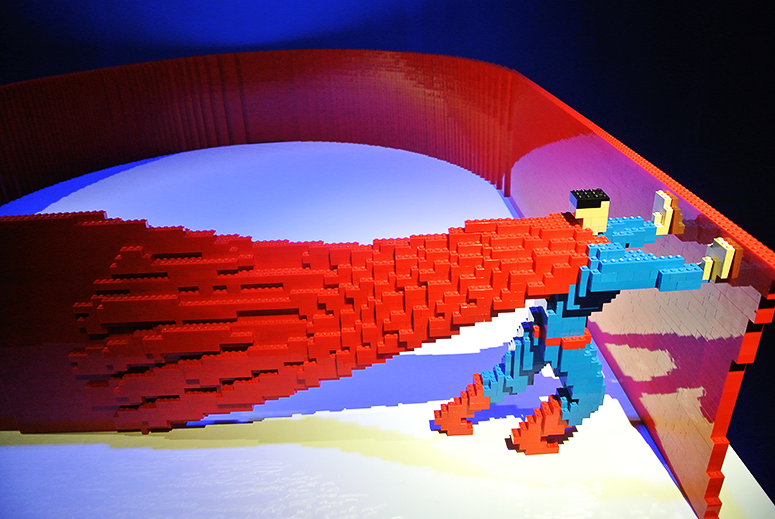 After all, you're never too old for this classic Danish toy! 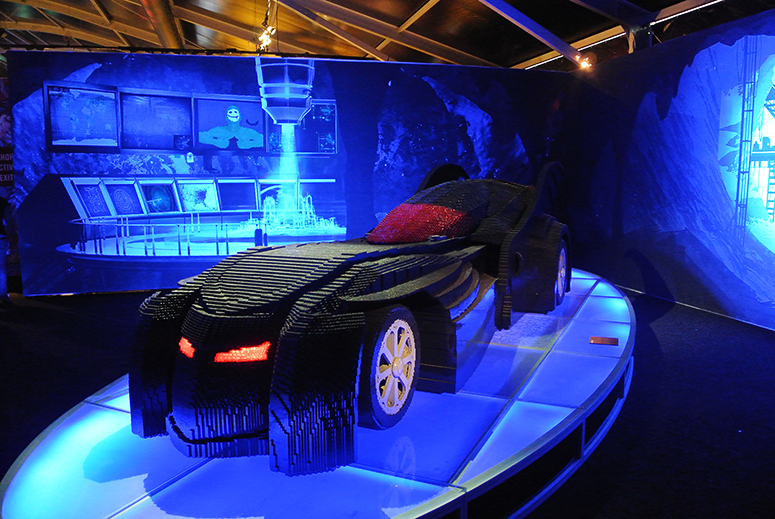 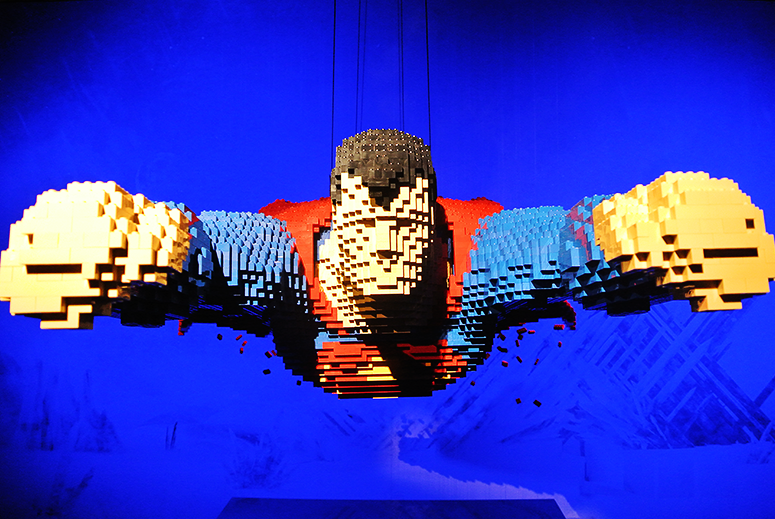 The Art of the Brick: DC Super Heroes is located on Upper Ground (South Bank) until 3 September 2017. 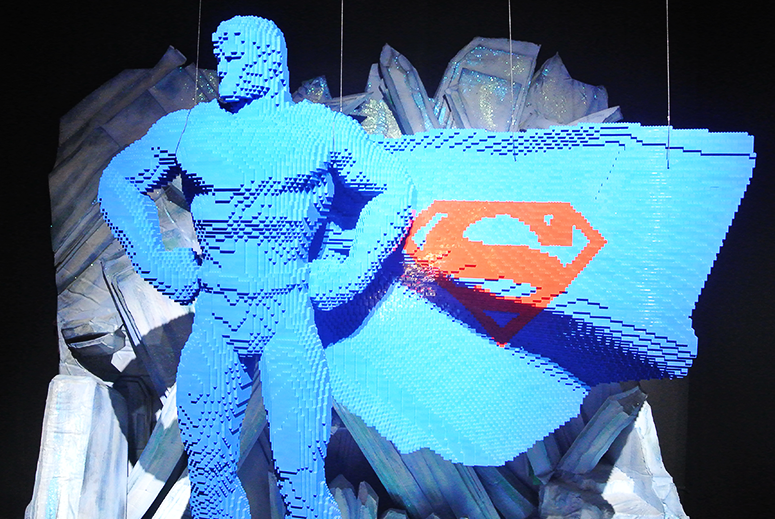 You can book your tickets here; prices start at £16.50 for adults (£11 for kids aged 4-16), with special family tickets, group prices and £10 Mondays available as well.